We are introducing top 10 traditional festivals in Tokyo, July 2017 to you, recommended by MagicalTrip’s Local Staff in Tokyo! You will be feeling local atmosphere and will experience traditional lifestyle in the best way through these festivals. You will be able to enjoy the traditional festivals much more and it will become a highlight of your trip to Tokyo if you are dressed up with a rental Kimono! In addition to traditional festivals, we are introducing several kinds of must-see events in Tokyo, July 2017. The Kagurazaka area is one of the few locations in Tokyo that still has its old townscape while being in the center of Tokyo. This Kagurazaka Festival is held in this tourist popular location. During this festival, “Hozuki-ichi” and “Awa Odori” will be held for 2 days each. For the first 2 days of the festival, “Hozuki-ichi” will be held, and you can enjoy various foods and goods sold by the locals. There are also plenty of other events such as children’s festival stalls/booths and Yukata rental/dressing services. For the last 2 days, “Awa Odori” will be held. You can enjoy over a thousand-people dancing traditional “Awa Odori” parading up and down Kagurazaka. This festival is one of the few times the usually quiet is filled with excitement and enthusiasm. Also, for those who visit wearing yukata or kimono, they can receive special drinks and food services. Please enjoy this historical cityscape and festival of Kagurazaka wearing a Yukata. Odawara Lantern Summer Festival is a summer festival that symbolizes the “Odawara Lantern” which has been loved by people in Japan since the Edo period. The Odawarajoshi Park, where the festival takes place, was a key historical and cultural location where the Odawara castle once stood and is currently a valuable cultural heritage with restored castle towers and much more. Around 2000 Odawara lanterns are lit up around the moat of the castle for this festival, and you can enjoy the fantastic scenery when visiting at night. At the main venue inside the park, on July 29, the “Lantern Dance” and on 30, the “Mikoshi Parade” are held, creating enjoyable content lasting over 2 days. Alongside these, there is a corner for making original lanterns, which is also a popular among tourists. Don’t miss this opportunity and make your own lantern to take back home! Hotaru & Nebuta no Yoi is an event that is held at Yomiuri Land. Recently there has been a decline of fireflies so at Yomiuri Land, they are working on creating an environment where fireflies can thrive. During the event, you can enjoy the magical lighting of the Genji and Heike fireflies. Alongside the fireflies, you can enjoy the “Aomori Nebuta” exhibition. The Aomori Nebuta festival is a famous fire festival held every year in Aomori from August 2 to 7, and beautiful floats called “Nebuta” used in this festival are on display. This event is an amazing 2 in 1 package where you can enjoy the magical lights of the fireflies and the beautiful floats of the Nebuta. 300 yen (children up to junior high students are free) & don’t need to reserve. To see the fireflies, you need to pick up a numbered ticket at the venue in advance. The Hiratsuka Tanabata Festival is a Tanabata festival modeled off the Tanabata festival in Sendai, and this is the 67th time to be held. The beautiful Tanabata decorations said to be the best can be enjoyed due to the backend help from the merchants of Hiratsuka. Around 500 Tanabata ornaments including bamboo decorations that are the key features of the Shonan Hiratsuka Tanabata Festival, are decorated throughout Hiratsuka and gets more beautiful and luxurious as you go towards the “Shonan Star Mall”, the main venue. There are also large decorations exceeding 10 meters here and overwhelm viewers. In addition to the decorations, during the festival period, Tanabata Dance Parade and “Orihime” Parade are held, filling the city with people. Tomioka Hachiman Shrine is a historical shrine that existed in Kamakura for 800 years and is said to bring business prosperity. In July, the Tomioka Hachiman Shrine Festival is held along with a ritual called Gion-bune. 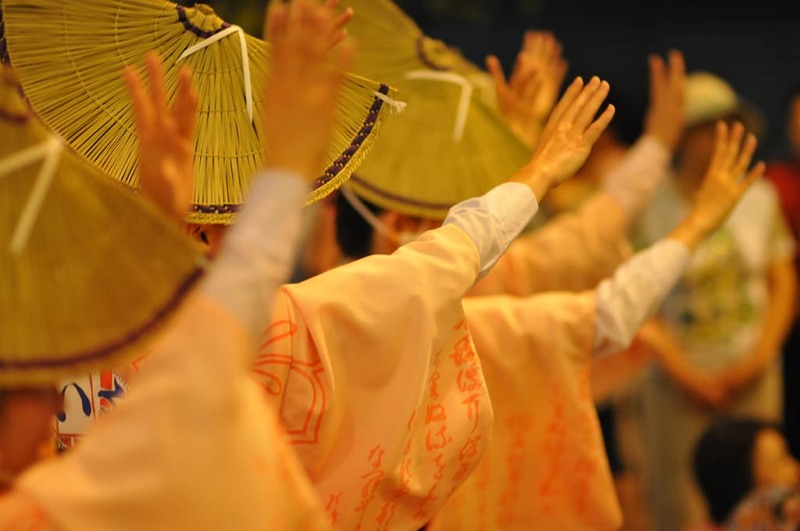 “Gion-bune” is a very special ritual that can only be done at Tomioka Hachiman Shrine. During the “Gion-bune”, in order to purify the mind and body and to overcome the hot summer, people transfer their sins into a boat made of plants and send it off into the ocean. In addition, people thank the god of sea for the first harvest through thanking the rich grains and fresh fish. Since this is festival held in central Kamakura, many people are assumed to attend but, it is definitely a great festival to visit if you have the time. Kurihama is a famous location for being the location, where the American ambassador, Perry first landed in the Edo period as well as the starting point for modernization of Japan. The Kurihama Perry Fireworks festival, held on July 15 this year, is a festival commemorating these events. At the end of the festival, around 3500 fireworks will be shot into the air. This firework show brings over 100,000 people every year. The festival is held at Kurihama Perry Park, a location with monuments and memorials to enjoy. On the day of the fireworks, commemorative ceremonies, bazaars by residents, and a parade with a huge black ship float modeled off Perry’s arrival ship are held. Also, there are paid seats (1,500 yen per seat / 3,000 seats). Tickets for paid seats can be purchased at the venue. But we will recommend you to purchase the ticket in advance since the venue is going to be crowded. Hamaori Festival, otherwise known as “Akatsuki Festival” is a festival to celebrate the coming of summer to Shonan. Along with the coming of night, around 40 mikoshi are gathered from the shrines in Chigasaki City. This Hamaori Festival is an unique cultural heritage of Kanagawa prefecture and features Mikoshi entering the sea, a feature quite rare in Japan. It is said that with the Mikoshi entering the sea, “Misogi”, it can awaken the mysterious powers of water and in return, wash away the sins and cleanse the mind. To see this “Misogi”, we recommend visiting around 8 AM. Seeing the unique calls of the Aishu Mikoshi such as “Dokkoi Dokkoi” as well as seeing the various calls of each shrine are key highlights of this festival. Kamimizo Summer Festival is an over 100 years old summer festival with a history and tradition that started from the end of the Edo period. It is also the northernmost festival in Kanagawa prefecture where over 100,000 people visit during the 2 days and is also selected in the “Top 50 Festivals in Kanagawa”. On day 1, the Kamimizo Shopping street is open to pedestrians and is flooded with many stores and booths. This festival is usually held on the weekends. Saturday is called “Yomiya”, and only “Dashi (Festival cars) are run. Sunday is called “Motomiya”, and both the traditional “Mikoshi” and “Dashi” move around the shopping street. Being able to get close with the “Mikoshi” and “Dashi” are another highlight of this festival. You cannot miss the stunning displays of Mikoshi weighing over 1 ton being followed by drums, flutes, bells on Dashi and dancers. The Shinbashi Koichi Festival is a summer festival held in the business area of Tokyo, Shibashi. During the 2-day festival, originally started as an event to get locals and working people to interact, not have over 140,000 visitors annually. During the event, you can enjoy a beer garden, festival booths and bon odori dances, which are all open to anyone to participate. The main event of this festival is the “Yukata Beauty Contest”. Anyone can participate and are judged on how the yukata is worn and it’s looks. Coming to the festival in Yukata and entering might be fun! Shinbashi station is a large station making this festival easy to access so please come! The Tachikawa Showa Kinen Park Fireworks Festival is a festival where over 5000 fireworks are shot with more than 850,000 people visiting. The key feature of this festival is being able to relax and enjoy the fireworks in the Showa Kinen Park which is about two Tokyo Domes in size. You can also enjoy a variety of fireworks such as unique star mine fireworks and huge fireworks. You can enter for free after 18:00 but, to enter before that you will need to pay the entrance fee. However, to avoid traffic, we recommend entering before even if there is an entrance fee. Exploring the park before the fireworks is also another way to enjoy this event. Need to pay admission fee & don’t need to reserve. 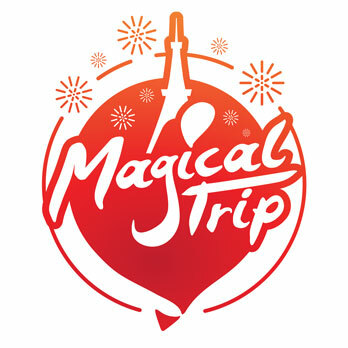 Also, there are paid seats (example: 4,000 yen per seat / 2,400 seats / admission fee included). Tickets for paid seats can be purchased at the venue. But we will recommend you to purchase the ticket in advance since the venue is going to be crowded.